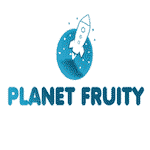 Access Planet fruity Casino and make a minimum payment of £10 on 27th of September in order to receive a 50% bonus up to £100. The good news is that you can use this deal to gamble on the best slots in the industry. You have to wager the deposit and bonus amount 40 times before you make any cash-outs. The conversion from the bonus funds is limited to 4x. Enjoy your perks!